Ground with services for the construction of villa. Calm environment on the edge of La Bruguiere. 10 minutes from Uzès and 2 minutes to the school of the village. Fons besides Gardon, single storey villa with 3 bedrooms, living room with fireplace, kitchen, bathroom, Wc. A garage completes this set built on a plot of more than 800 m? Nîmes, 2nd floor of a beautiful mansion, apartment type 5, crossing, open view, balcony on living room, 3 bedrooms, bathroom and shower room, cellar ..
Nîmes fountain, superb terrace P3. Nîmes fountain, superb P3, elevator, terrace, air conditioning, very bright. Nîmes, Sophoras district, 3 bedroom house plus 60m2 of adjoining offices in a dream setting. House Sophoras area, 124m2, 3 bedrooms, bathroom and shower room, plus 60m2 of offices on 2000m2 of land with swimming pool. Beautiful environment, quiet. Nîmes, Capouchiné sector, pretty town house in R 1, 3 bedrooms upstairs, bathroom, wc room of life equipped kitchen, toilet and garage in rez of putting on, terrace, garden with shelter. Secure property. Very good product. It is hard to sum up Gard in just a few words! A major stop-off for travelers for over 2,000 years, Gard is largely open to the departments that surround it, thanks to an excellent road network. A wide variety of activities, peace and quiet, a quality lifestyle, sun and varied landscapes make this a great place to be! There is a wide choice of property in the Gard and prices vary according to the area, the most expensive being around Uzès, 'City of Art and History'. But what would you say to a charming village house on the outskirts of Anduze, doorway to the Cevennes? 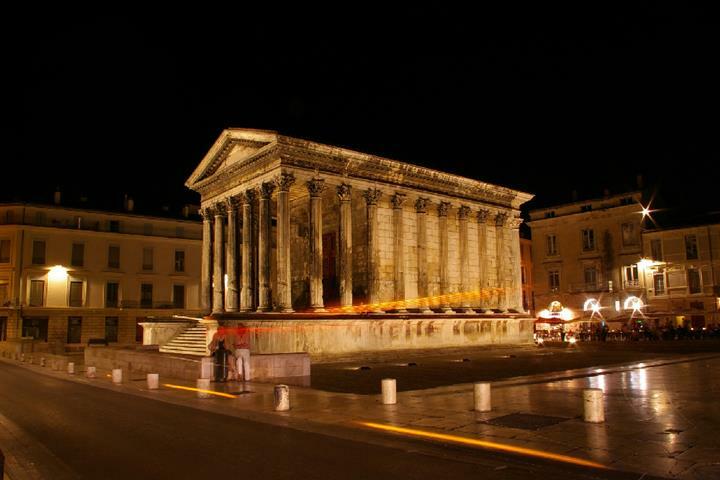 To buy an apartment, Nîmes, with its historic monuments, is a very good address. In short, this a dynamic department where a good lifestyle is possible in the southern sun.